Advice for best ROM. RK3066 noname tablet. Actually the name is Horizon h101d1hd. I have an RK3066 tablet and tried to find an appropriate upgrade ROM in vain. I'm looking to upgrade at least to 4.2 and have a clean and slim version. Ideally with a bigger partition for apps. Currently only 1 GB of a total of 8GB. Attached you have the DMESG log and a screenshot with the original firmware details. Please let me know if there is already a ROM that would be a good fit for my configuration or you can help me with a custom build. Dump your firmware first. We need the kernel. I got a similar case and would like to try the rom as your advice. How can I provide the kernal to you? I cannot find my Tablet in your list. Should I use the parameter file dump from my device? The dump is uploaded to below. Please help. Thanks. [ 5.169224] Current WiFi chip is RK903. Just for right naming, what is the correct name and brand? Pls check also system.img, it has only half of the typical size. My tablet is called "ARENA Scientific Tab-X 9.7 Retina-IPS 32GB"
For the system.img, I tried twice by using your simple tools. It is around 512 mb in the sd card after dumping. But when I put the cars to PC and tried to copy, it said sd card has issues and require a scandisk to repair. And after repaired, the file size became 2xx mb. Do you need a full size system.img? Sounds you corrupted the sdcard by unsafe put off. Pls use settings/storage to unmount the sdcard first. Thanks. Let me try again later if it can be dumped successfully. Do you think the tablet can flash the CM10.1 one? If yes, any particular instruction? The system.img is dump successfully . Pls download it again. 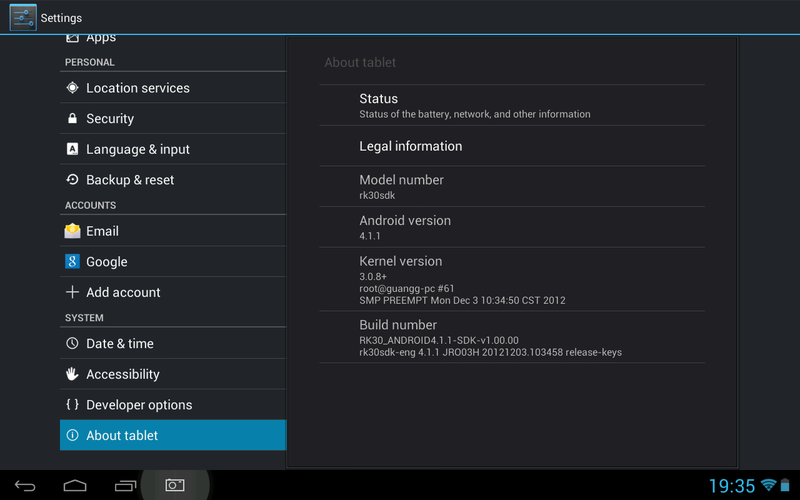 Pls let me know if my tablet can flash the CM10.1. Thank you. You can try the CM10.1 build. Odys Genio cRom v1.4. with no luck. Now the tablet not open at all. Any advice? Anyone with the original kernal and rom?